However, three years ago that all changed. It was at this time three years ago when we first visited a holiday resort in Roses, Spain. My parents had recommended it to us so it was a no-brainer as my Mother has pretty high standards when it comes to holidays and hotels. The second we stepped out of the taxi, we fell in love with the place. 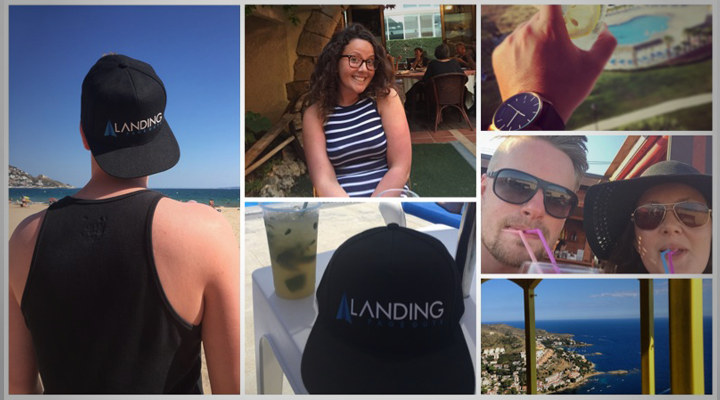 You may be wondering why I’ve chosen to blog about my holidays for the last three years, but the reason I’m doing so is because I’ve learnt valuable lessons about sales and marketing from my own personal experience. I’ve gone from a consumer who said he’d never stay at the same place twice, to a lifelong customer of the hotel, and I want to share why. You see, it’s the next 5 points that had me thinking about writing this blog post whilst I was sipping a margarita by the pool this year. I was minding my own business listening to Zac Johnson’s ROTE Podcast, when I suddenly thought, “Why do I keep coming back here, and how can I learn from it”. As mad as that sounds, it’s going to help me with my future business plans and the way I conduct myself as a business owner. Having paid what we believed to be a very reasonable amount for a weeks stay the first year we visited, we were very impressed with the overall stay in comparison to the price. The value for money was excellent which was a huge plus point for us. When we decided to return the following year we expected the price to naturally increase, but it didn’t. Even though they’ve sufficiently improved the hotel again this third year, the price point has stuck. Business Lesson: If you can stick to competitive prices and even improve on your service or offering, people won’t hesitate to come back, and will even believe they are getting a great deal. Each and every staff member is always so attentive, polite, and accommodating. We’re always made to feel as if we’ve never been away. We’re greeted with open arms and everyone remembers our name, our drink of choice, and our past visit. Given that they may see thousands of people a year, I think this is remarkable, and it just goes to show how attentive they are. This year we had our first EVER complaint when a pizza wasn’t delivered one lunchtime even though it had been ordered. This, however, was quickly rectified when the manager of the front of house greeted us for our evening meal with an apology, handshake, and free glass of bubbly. We’re always made to feel very important and as if we’re their number one priority. Business Lesson: Remember every client you have, get to know them, and make them feel as if they’re your only client. Find a middle ground and learn something personal about them, so even if it’s not business, you have a reason to be in touch. If a mistake is made, admit it and put it right. Each year the hotel arranges the same taxi driver to pick us up from the train station, who arrives dead on time without fail and with a great big smile on his face, holding a sign with our names on it. The driver knows exactly where we’re going and delivers us safely to the hotel. Once inside the hotel, we’re quickly checked into our rooms and are jumping into the pool in no time. See how easy that was! The same goes all throughout the stay. If we want a drink at the pool, someone is there within seconds. If we need some champagne delivered to our room, it’s done in a flash and the money is charged to our room bill. Nothing is ever too much and everything is always done with such ease. Business Lesson: Make everything from contact to payment as clear and easy as possible. The less someone has to think about doing something, the easier decision it is to make. Every year we end up with the same result. In short that’s simply a really good holiday, but there’s lots of moving parts that have to work together to provide that end goal. Nothing has suffered with time; the more we go back the better it gets and the more we come to just expect high standards. This ultimately boils down to them being very consistent. Each and every year we can’t fault the holiday so why would we go elsewhere? Business Lesson: Be consistent. If you offer a product or service, make sure it’s as good the first time as it is the 100th time. Even though this hotel is full up for the entire summer season and you’d think they could afford to sit back and reap the rewards of their success, think again! This company is an amazing example of expanding and improving what they already have. Revisiting this year, we were amazed to find a new swimming pool just for adults, a new spa free of charge for guests, and even more improvements since 12 months ago. Even though they’re constantly full, they never rest on what they have and are constantly striving to be the best. Business Lesson: Never get too comfortable or think you’re irreplaceable. Always invest in your business and self to be the very best you can be. Overall I feel its both odd and cool that I’ve learnt so much from my summer holiday, but I do try to learn something from everything I do. When you sit back and think as an outsider and a consumer instead of a business owner, you sometimes see things very differently and find things that will improve what you do. I, for one, will start to look at the 5 points above and apply them to my companies. I guess this is also the time to say we’re not going back next year; however, this is because we’re going to celebrate our hard work with a longer holiday next year and travel to Italy. I’m sure of one thing though. We will go back to that hotel very soon! 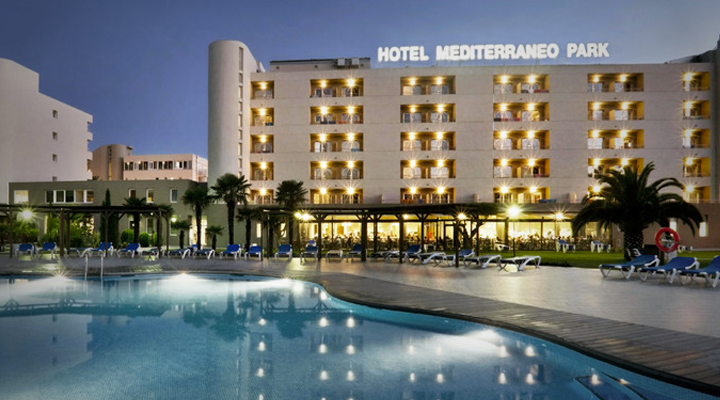 For those of you interested in visiting Spain, the Hotel Mediterraneo Park is a MUST!